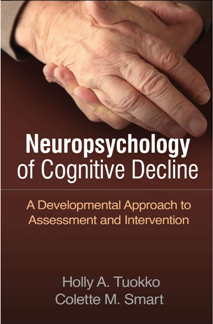 Presenting best practices for assessment and intervention with older adults experiencing cognitive decline, this book draws on cutting-edge research and extensive clinical experience. The authors’ integrative approach skillfully interweaves neuropsychological and developmental knowledge. The volume provides guidelines for evaluating and differentiating among normal aging, subjective cognitive decline, mild cognitive impairment, and different types of dementia. It identifies risk and protective factors that may influence an individual’s trajectory and describes how to create a sound case conceptualization. Evidence-based strategies for pharmacological, cognitive, behavioral, and psychological intervention with patients and their caregivers are illustrated with vivid case examples.